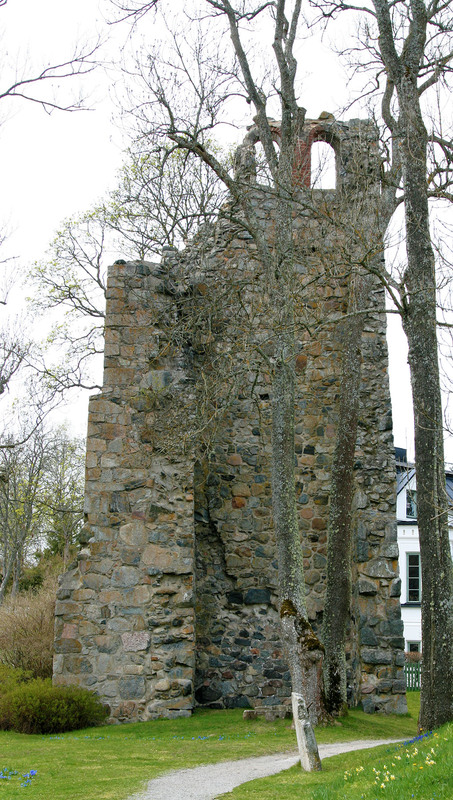 Of the church ruins in Sigtuna, St. Lars is the most dilapidated. It was constructed at the beginning of Christianization in Sweden during the 1100’s. A sketch of the church during the 1600’s shows the church was extended to the east and north with a porch on teh south. It was in use until the Reformation. After repairs in 1586, the church was used as a school. In 1658 the structure was ravaged by fire and fell to ruin. All that remains at present is the church tower.